Whether you’re a technology purchasing decision maker at your organization or an integrator, there’s a good chance that you’re at some stage of video wall planning. In 2019 video walls are popping up everywhere – and in places where a few years ago they weren’t likely to be. It used to be that video walls were the domain of particular types of organizations with budgets of a certain size. Command and control rooms, high-profile retail and entertainment venues come to mind. You name it. A Commercial Integrator survey of 126 integrators and AV consultants reveals that demand for video walls by corporate customers has risen sharply over the past couple of years. The market seeing the second most video wall demand growth over the past couple of years, behind corporate, is education. It’s really important in every video wall planning scenario – whether you’re the tech decision maker or the integrator – to ensure proper return on investment. That comes down to effective planning. In this free Commercial Integrator and MyTechDecisions webinar, join LG and AVI-SPL to look at the steps to creating your perfect video wall. 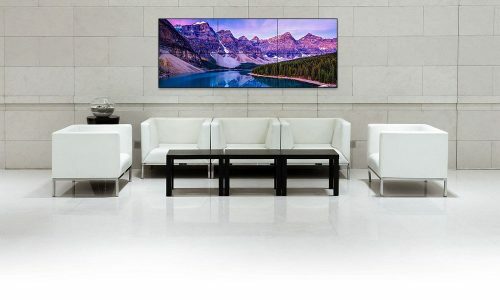 Bo Beard, sales engineer for LG Electronics, will explain the factors that end users and integrators need to consider when planning a video wall project. Tom LeBlanc, editorial director, for Commercial Integrator and MyTechDecisions, will moderate. You will have the opportunity to ask our presenters your questions. Join us on April 24 at 2 p.m. EST to learn how to create video walls that captivate viewers.